Buying a property part 1 outlines the thoughts and analysis I go through prior to buying a property. In the following posts I will go through the process of a live case and how we decided to renovate it for the purpose of both using it and rent it (holiday home). There are loads of articles written on this topic and this series will for sure not cover it all, not even close since many situations are unique. However, I am pretty sure you will find some valuable insights as this is based on a live case and our own thoughts during the process. Property investing has always been interesting, it has made many people really rich and the reason for it is called leverage. Using a tiny bit of money, borrowing a lot and then repeat the process when the cash-flow from the tenants are flowing in, is how it’s done. It can be done at so many levels from a tiny property to buildings with hundreds of flats or offices. People tend to focus on different aspects of the property chain (building, developing, remaking, flipping, owning for cash-flow etc.) but the key reason in the end is to make money, one way or another. 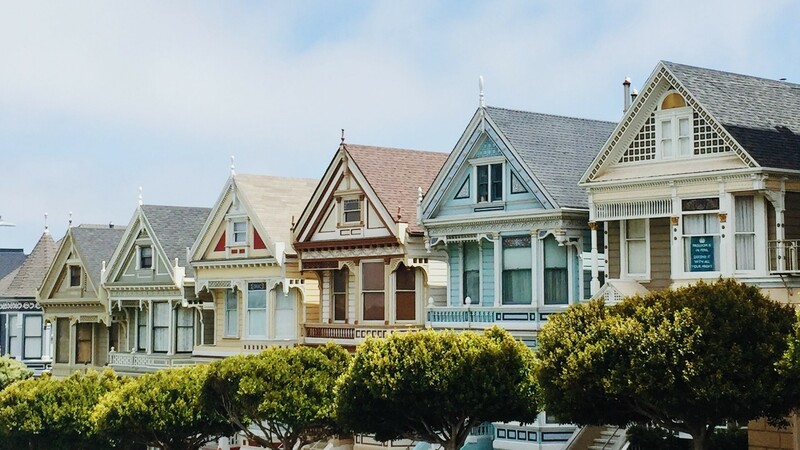 Depending on the type of property and location it will attract a certain level of rent and be in a certain demand which of course will affect prices of properties. By owning properties in attractive areas, one can almost be sure that it will be let and to a high rent. Still, one has to put the rent in comparison to the price of the property as well as all additional costs that are associated with owning and running a property. A rule of thumb is that maintenance will run in the region of 1-2% of the value of the property per year, but this is over time. If you have to change the heating system and the windows during the same year, then the expenses that particular year will be high. I will write more about my thoughts on numbers on properties in the following posts. In our particular case we are interested in a place we can use and at the same time make it pay for itself, basically we want to both have the cake and eat it too! You have to know your reasons as to why you’re doing it, and if money is the main driver you still have to make sure you make a smart and wise decision so that you actually will make money on your investment property. I therefore urge you to read as much as you can about property investments, mistakes others have made and how you can make the most out of your property whilst minimizing your expenditures. You basically want to keep both the initial and running costs as low as possible whilst maximizing the income! We were interested in an additional property that we could use part of the time and let part of the time. When intending to rent it out, there are of course different rules for doing so in different countries. To make this as efficient as possible (legal and tax-wise) one has to understand the local rules and regulations. In our case it is a lot more flexible to let a single family home than an apartment (more rules and restrictions regarding everything). By letting a house we have more flexibility but also more liability in a sense that if something happens it’s on us (or our insurance). You have the exterior to take care of, the interior, the garage, the garden and most likely there will always be something on your to-do list. An apartment can be simpler and even more lucrative but it depends on the purpose of your investment and what you intend to do with it and how to use it. I would argue you that you have a lot more flexibility if you own a place outright. If you have a garden and a garage there are other options as well. Maybe you can let the garage to someone, the house to someone else and even have a mobile home in your garden if you want (again depending on local rules and regulations) you can also add or remove walls, extend the property, build another tiny house on the same land etc. Again, your choice depends on the purpose and then you just have to do the numbers and see what makes most sense in your situation. They say location, location, location! To some extent I agree but again it depends on more factors and your intentions. Buying something just to let it in San Francisco with a yield of 2% might not be that appealing (maybe it is if you use a lot of leverage, have a fixed interest mortgage and is very confident on the price stability) but at the same time it’s about location and a great location often means more price stability and also easier to find tenants. In our particular case and as we wanted something in an area that appealed to us and how we like to spend our time (outdoors!). It also meant that we wanted to find something in a rather popular area for these kind of activities (trekking, biking, running, skiing etc) and where we know there is demand for short-term rentals (you’ve got to love the internet och how it makes life so much easier when you want to research something). In terms of location it is always good to start in an area you know rather well and ideally close to where you live (unless you will immediately outsource everything and have taken that into consideration in your calculations). The idea behind this is of course that there should be fewer things that could go wrong with the location which you are not aware about. Compare this with a Swedish person who has never been to the US and decides to buy a house in Detroit, how much does that person really know about the market, the area etc. Most likely, very limited (even if the internet is great). If one is just starting out (maybe on a limited budget as well), being able to have “full control” makes a big difference and you will learn first hand as things happen (and they do!). Luckily for me I knew a place relatively close to where I come from (so I know the area well) where we would have access to skiing slopes during the winter, mountain-bike tracks during the summer, lots of lakes, hiking paths and nature just around the corner. As I know the area, I was also familiar with the price level of houses (which is also easy to check) both current properties on the market as well as historical prices. As we currently live a few hours away, I know we would need some occasional help and luckily I have my handy parents close by and they were willing to assist (at least if it’s not too frequent!). You might be able to do the same if where you live is not the right place to invest. Alternatively you might have a friend or you can of course outsource to a firm, just make sure you understand the costs to 100% and take those into consideration! In the following post I will go through what we then started to look for, what numbers we were doing and why, with the purpose of finding out if there was anything available that we found interesting enough to buy (and yes we did!). Hope you enjoyed it (and the following ones:))!